On this Week-Long Meditation Retreat*, led by Emily Horn and Vincent Horn, you'll have the rare opportunity to dedicate yourself to uninterrupted practice in a community of peers. Over the course of the retreat we’ll work on incorporating all aspects of our being, including the body, heart, & mind, into the fold of awakened presence. This full-spectrum presence allows us to more fully respond to the needs of the moment, whatever they may be. The bulk of the retreat will be held in silence, punctuated by periods of teaching, social practice, and private teacher meetings. *This retreat meets the prerequisite requirement for the Mindfulness Teacher Certification program offered by The Awareness Training Institute and Greater Good Science Center via Sounds True. Emily Horn is authorized to teach meditation and retreats by Spirit Rock Meditation Center, Insight Meditation Society, and InsightLA. She's consulted for various meditation and VR apps, developed meditations for Boston Children's Hospital's Comfortability Project, and led mindfulness workshops for large national conferences. Emily is a co-founder of the Heart of Insight- a mindfulness practice collective. Emily has been called a “power player of the mindfulness movement" by Wired Magazine. 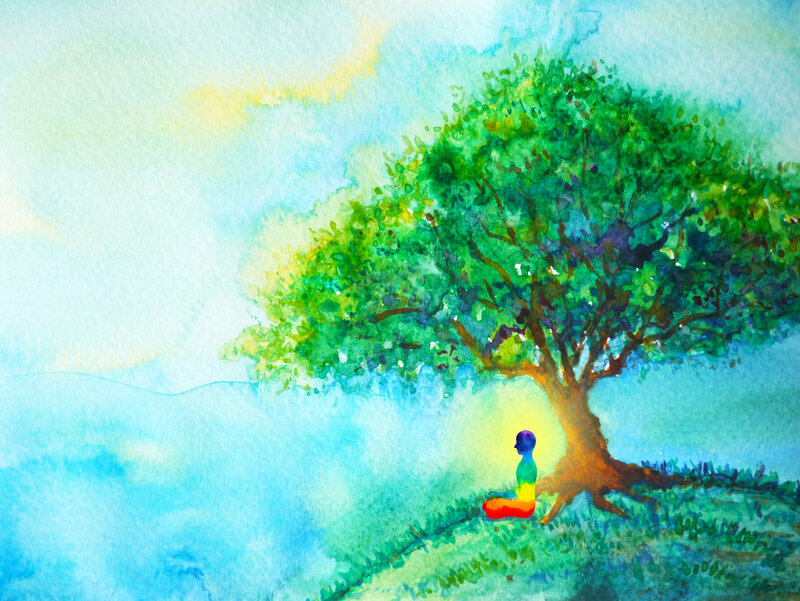 For her, a mindful life is simply learning to dance with all of this human experience: from transcendence to dirty dishes, evolutionary edges to ancient roots, solitary practice to deepening relationships. She lives in Winston-Salem, North Carolina with her husband, Vincent, and son, Zander. Vincent Horn is part of a new generation of teachers translating age-old wisdom into 21st century code. A computer engineering dropout turned modern monk, he spent his 20s co-founding the ground-breaking Buddhist Geeks project while doing a full year of silent retreat practice. Vince began teaching in 2010 and has been authorized in both the pragmatic dharma lineage of Kenneth Folk and by Trudy Goodman, the guiding teacher of InsightLA. Vince teaches meditation virtually through Meditate.io and locally in North Carolina through the Heart of Insight. He lives in Winston-Salem, NC with his partner Emily and their son Zander. Heartwood Retreat’s mission is to be a living container for inquiry and cultivation of ancient and contemporary Buddhist thought, while promoting interfaith and multi-lineage dialogue that create the opportunity to awaken. Heartwood is neither defined by a single lineage, nor confined by any single sect or practice. Heartwood’s facilities include a historic thirty-room Victorian-era mansion, and additional thirty adjoining courtyard rooms. Three meditation halls and a commercial kitchen are designed to support short-term and long-term retreats, conferences, and workshops. Quiet spaces indoors and out invite contemplation and conversation. Three delicious vegetarian meals per day are offered; there are always vegan and gluten free options served for those with dietary restrictions. Heartwood Refuge has modest, hotel-style rooms. All rooms are designed as doubles with ensuite bathrooms. We can negotiate with the center to utilize some rooms as singles for medical needs. If you request a single room, please explain why you need it, citing your medical needs, sleep disorders, or preferences. All attendees (yogis) will participate in the practice of “meditation in action” aka “yogi jobs”. Most of the tasks are related to preparing or cleaning up after meals and light housekeeping of common areas. Prior to checkout each yogi will perform light cleaning of their accommodation. Each yogi job is approximately one hour or less in duration. Heartwood staff will work with attendees at check-in to assign yogi jobs appropriate for their abilities and limitations. The cost of this 7-day retreat is $1,000 USD. This fee covers food, lodging, and a small administrative fee. It does not cover the teachers pay, which operates based on the generosity model. At the end of the retreat you'll have an opportunity to participate in the generosity model, which involves making a donation to the teachers. There is no recommended amount to donate, as this is very much about the practice of unscripted generosity. This retreat is put on by The Heart Mind Foundation, an educational 501(c)3 non-profit, so all teacher donations are tax-deductible.